Please scroll down to view all available hoop sizes for your brand of machine(s). 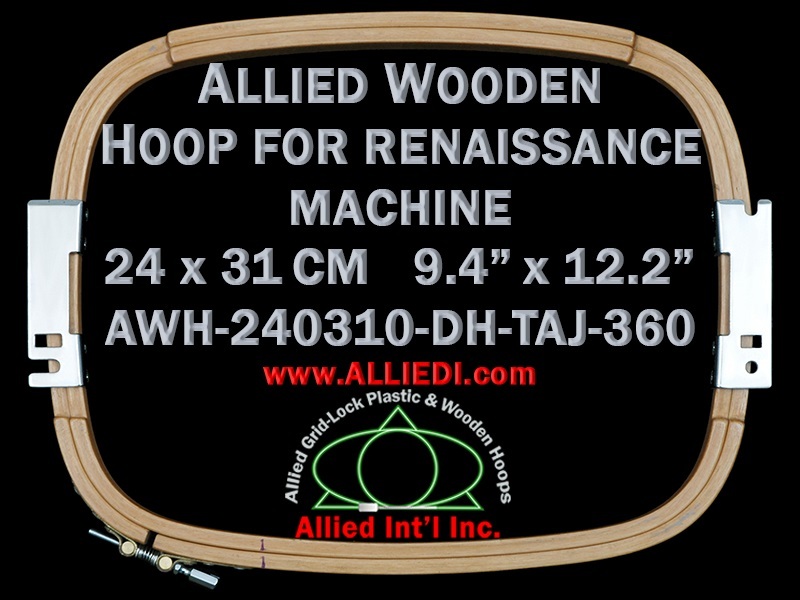 Allied wood embroidery hoops, frames are engineered to provide superior grip when hooping wide range of thin to thick fabrics. One natural characteristics of wood is its grained texture which enables more effective hooping of most articles & fabrics. This characteristic is also great for framing slippery fabrics such as satins and silks, as well as for thicker jackets that may be difficult to hoop tautly using regular plastic hoops. Allied wooden embroidery frames are available in "single height" (SH) and "double height" (DH). This is designated by SH or DH in the Allied Item Numbers below (e.g. AWH-000000-SH-ZSK-400). The added thickness of double height wooden hoops provides additional surface area to hold fabric tautly. This is extremely advantageous when framing very thick articles. Allied’s wide range of wooden ZSK embroidery hoops includes specialty shapes and sizes such as hoops for long and narrow embroidery designs on sleeves of long-sleeved shirts, pant legs, etc. 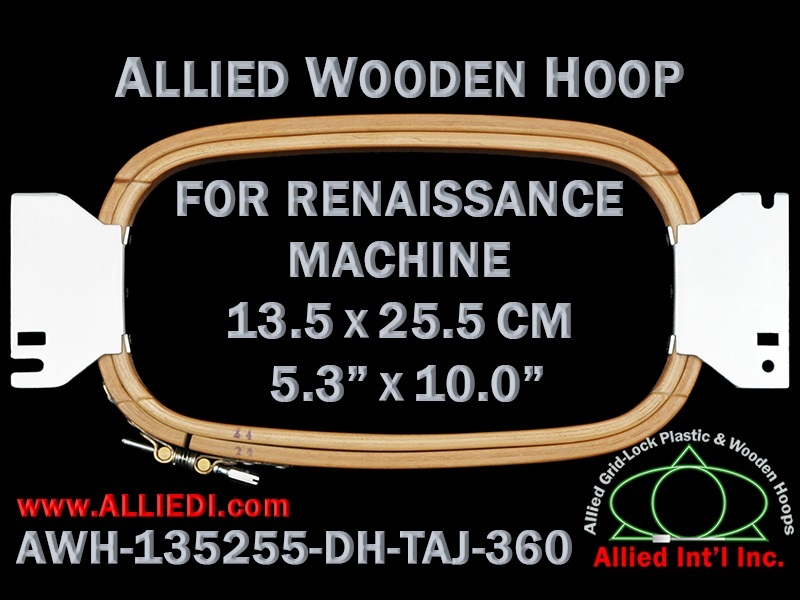 Beyond Allied's currently available hoop sizes, if you need custom-sized wooden hoops in larger quantities, please contact us providing details of your specific requirements. 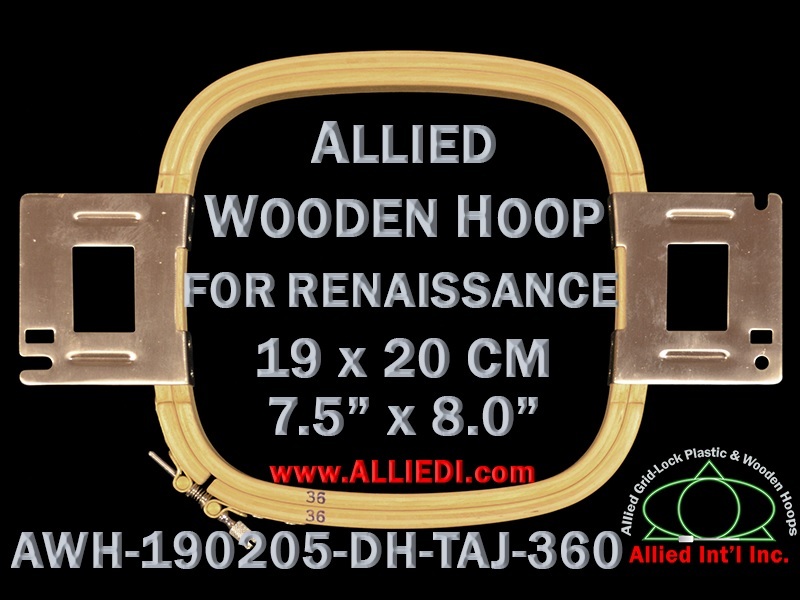 How Allied Wooden Hoops Are Sized | What Do We Mean By Hoop Thickness? In addition to wooden ZSK embroidery frames, Allied also offers a large number of Grid-Lock™ plastic ZSK embroidery hoops in a variety of shapes and sizes. The unique features of Allied Grid-Lock™ frames make them the most preferred hoops in the world for machine embroidery. 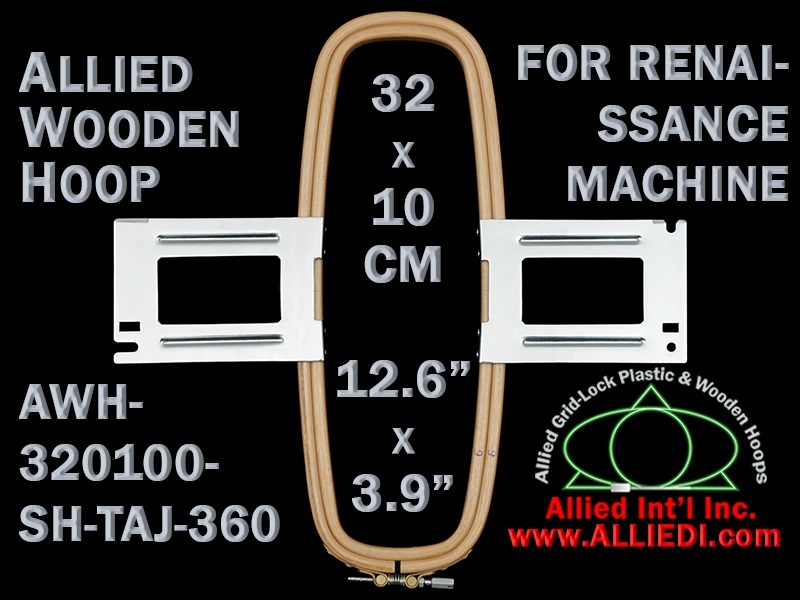 In many cases, Allied offers separate hoops designed to fit on different Arm Spacing (AS) distances, measured in mm. The AS distance is designated by the last three digits of the Allied Item Number found in the first column of the grid below (e.g. AWH-000000-SH-ZSK-400). For more information on this, click here: What Do We Mean by Arm Spacing (AS) Distance? ("Arm Spacing" is also refered to as "Sewing Field" by some embroiderers). Please select your hoops based on the desired AS distance for your machine.